My sister and I made this Monsters Inc. cake. I’m 14 and she’s 16. We just started a cake business last year because I’ve always loved to bake and she’s really artistic. We got this order for a four year old’s birthday a couple months ago, the only problem was that our house was under construction at the time and we only had a temporary kitchen. Yeah….but it was a good friend and we wanted to do the cake so we decided to try anyway. I spent the day in my neighbor’s kitchen doing all of the baking and we squeezed into our little “kitchen” to decorate. 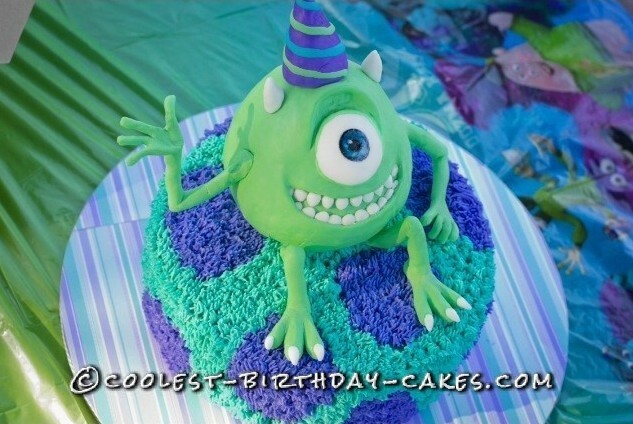 Mike on the cake is made of rice crispie treats and covered in fondant. My sister Maddy made him. 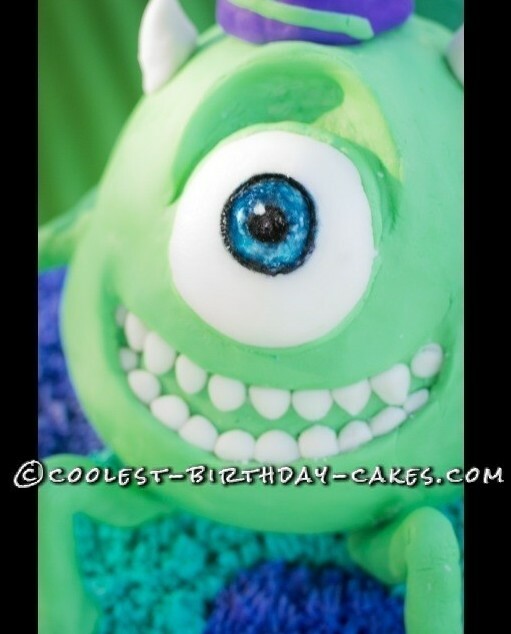 My favorite part of the cake is his eye, she painted it with food coloring. While she was working on Mike I did the cake it’s self with Sully’s fur. I really liked doing that. After stacking and crumb coating the cake, all I did was take what I call the “spaghetti” tip and frost on. Starting with the darker purple spots and filling in with blue. And it was really easy, anyone could do it. 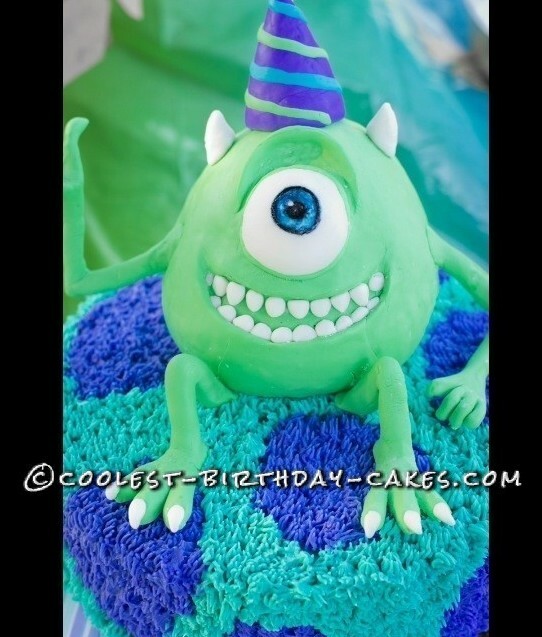 When we showed the cake to our family, my little brother Gideon said, “Mike should be sad because it looks like he is sitting on dead Sully” not exactly the look we were going for. The scariest part of making cakes for me is delivery. This one was an hour away! I hate that all your work could easily be ruined in the car. But the delivery went fine and we made it safely! Another good thing was that the mother of the birthday boy was a photographer so we got some really good pictures. Everyone loved it. Dead Sully or not, I really liked how this cake turned out.